April 28, 2017 – At the Wayne High Honors Night several students were acknowledged for their hard work and dedication. 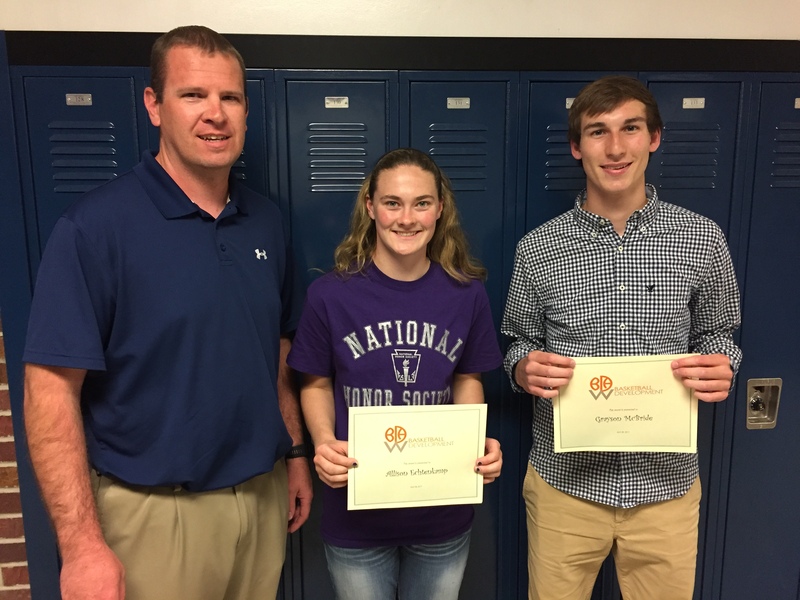 The WBDA Board of Directors planned to award two $500 scholarships to recognize a male and female Wayne High student who had shown dedication in the classroom, to the community and to the sport of basketball. The Board took special consideration to those individuals who played in the Wayne Basketball Development Association (WBDA) and continued to be involved in basketball through High School. The recipients of this year’s WBDA Scholarship Award were Allison Echtenkamp and Grayson McBride.